Some great coastal photos can also be captured out of season, as we find out here. 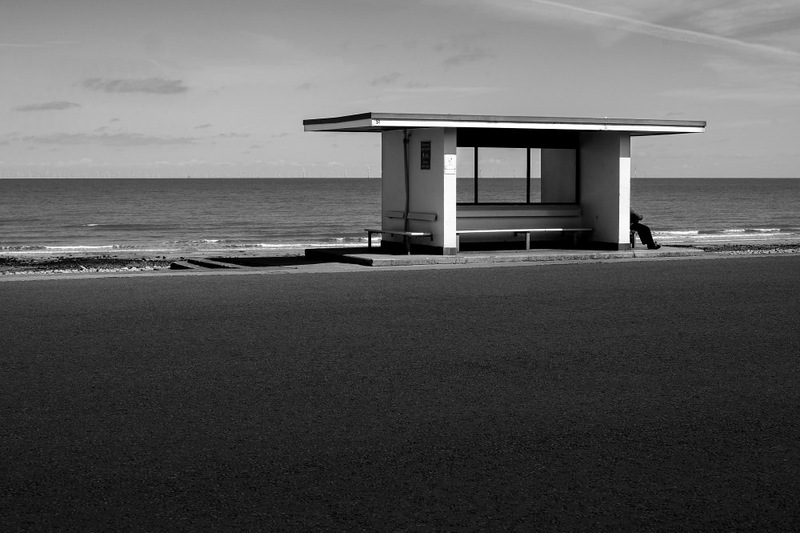 After summer ends and the chips, candy floss and plastic buckets have long left the seafront, the British seaside resort morphs into a place that's desolated and full of photographic potential. A zoom lens will give you the flexibility of both wide and telephoto options in one lens which is good news for the photographer who doesn't want to be carrying too much kit on their seaside walk. Plus, you don't really want to be changing lenses when there's a strong breeze blowing sand and salt which could damage your equipment. A tripod will help you steady your camera while the strong coastal breeze blows around you. A bonus with this time of year is that parking's a doddle and accommodation should be cheaper if you're planning a full weekend of photography. Don't forget to check the all important weather forecast and make sure you note down what time the tide will be on its way back in. If you don't, you could find yourself paddling through salt water with your camera gear if you do head for the beach. Low-angled light will give colourful beach huts more punch while a bright blue sky dotted with white clouds will add a bit of life to what can be drab looking shops and piers. If you find that Mother Nature has realised you're at the coast and as a result predictably turns the sky grey don't be too down-hearted as a storm brewing over the sea will always look good. To give the sky more detail fit an ND filter to your lens but if it's still too dull and flat, shoot the scene anyway and try converting it to mono when you're back in front of your computer. If all else fails, there's always the option to shoot some macro detail of nets, ropes and wet pebbles on the beach. Just remember to fill the frame to give your shots more impact. The ice cream seller may be long gone but you will get the odd resident, brave surfer and fishermen still walking around the empty seaside towns. Even though it's always polite to ask before you take your shot, sometimes candids where you snap a couple of shots without them knowing you're doing so do work better. Many people won't mind you taking their photograph if you ask politely enough though so don't be afraid to approach someone with your camera and a pleasant smile. Try getting in close if they have a strong face that will make a good character portrait then stand back to give the shot more context. This can work well with a lonely surfer stood on a damp, deserted beach or with a café owner clearing tables in an empty shop. 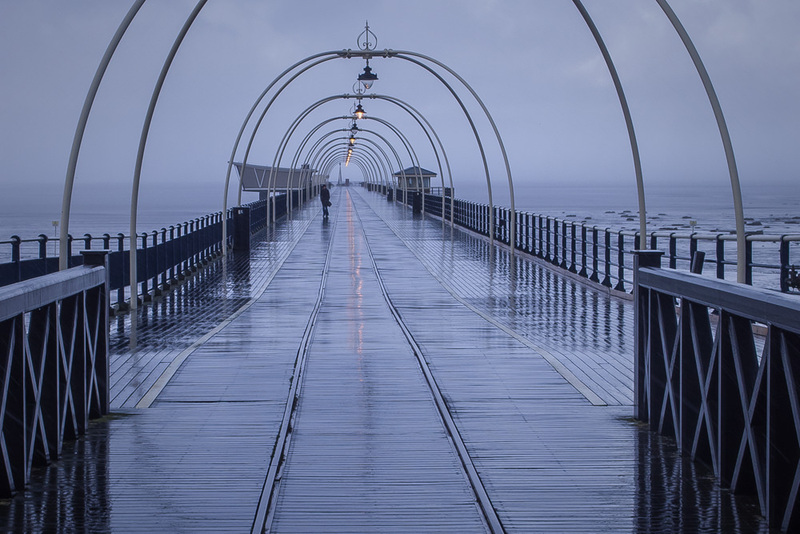 The pier is a photographic opportunity not to be missed at this time of year as you won't have tourists walking into your shot and morning fog can be found circling the supports, making them an eerie photographic opportunity. Go wide, shooting from the beach if possible or shoot from the top, using the pier as a leading line into your image.